Following our recent size? 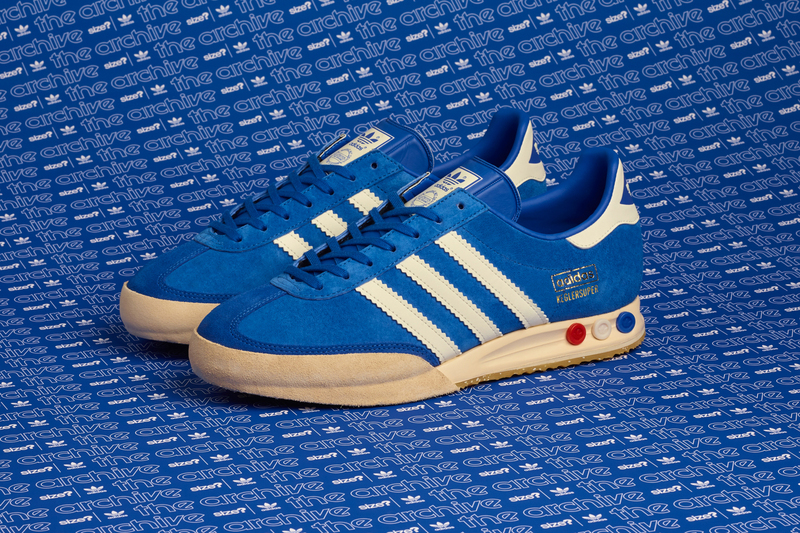 exclusive ‘Bowling’ iteration, the Kegler Super makes another comeback as part of out ongoing Archive collaboration with adidas Originals. 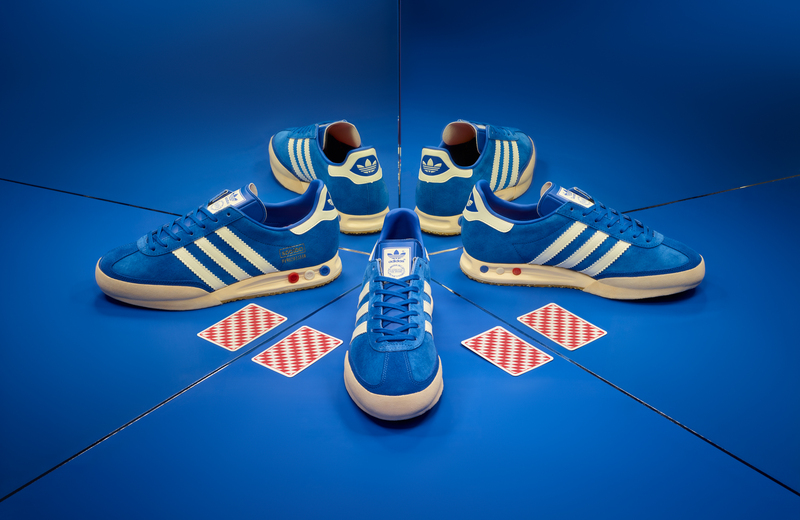 Remaining true to its roots, the pair takes design cues from their German origins, arriving with a Bavarian ‘Beer’ inspired makeover. Joining two German past times together to create a premium silhouette: the Bavarian state is famous for producing some of the finest beers in the world, and the area Rothenburg ob der Tauber, was the birthplace for Kegeln indoor bowling. So how better to honour the original bowling shoe – the Kegler Super – than by merging two past times together to create a ‘Beer’ inspired style. 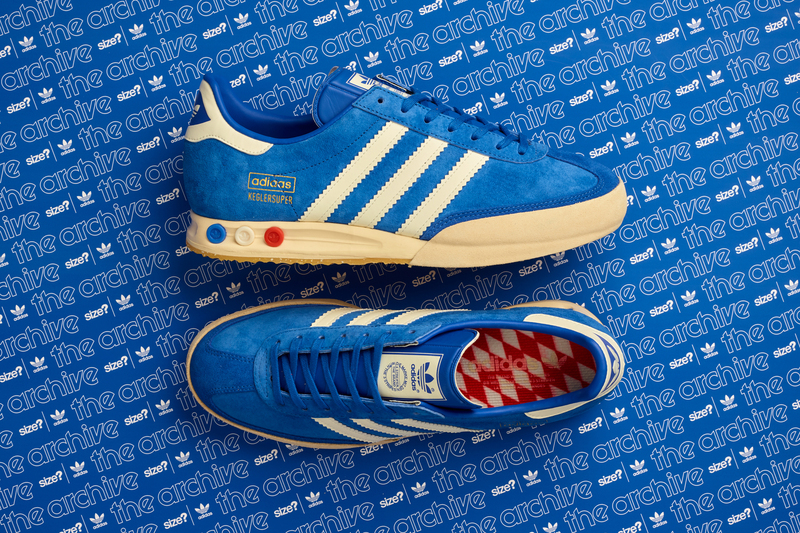 Finished in the colours of the Bavarian flag, bright shades of blue and white dress the shoe’s supple suede and leather uppers, with classic Trefoil and three-stripes decorating the heel tab and sidewalls respectively. Suede panels are utilised further covering the T-toe and mudguard surround for enhanced durability. The size? 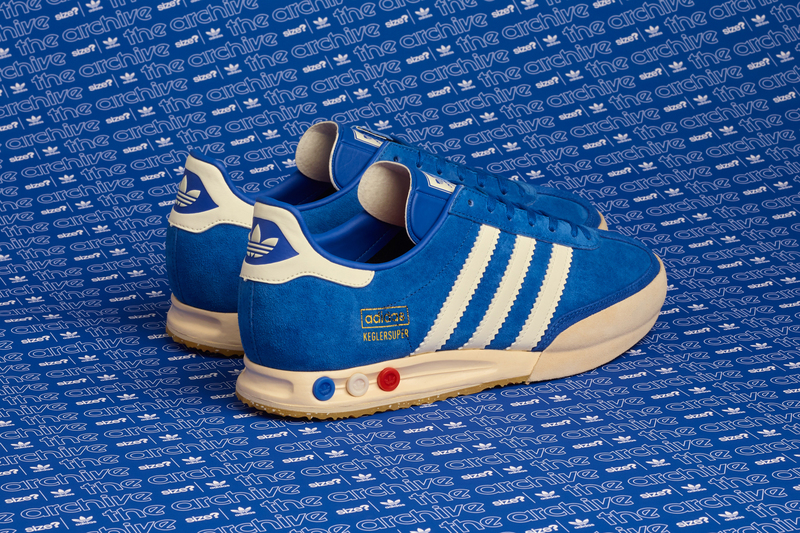 Exclusive adidas Originals Archive Kegler Super ‘Beer’ will be available via the size? previews app and in all size? stores on Friday 25th January, priced at £85. Previous Post Previous post: The North Face RAGE ’92 Collection – Event Recap.